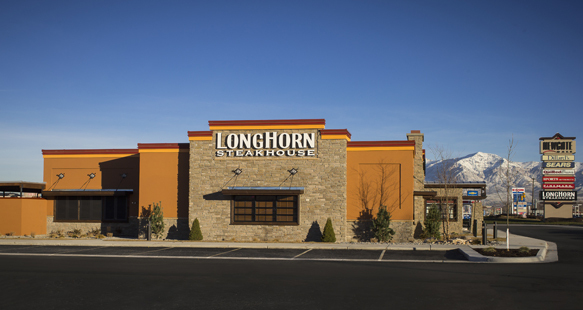 LongHorn Steakhouses are new to Utah, and R&O built the first two including this one in Ogden. The restaurants are wood frame and contain high end finishes. 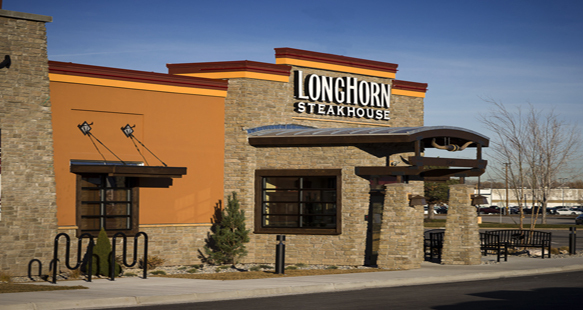 Located on a 16,719 square ft. site, the restaurant itself is 6,242 square ft.
LongHorn Steakhouses are owned by Darden Restaurants who own Red Lobsters, Olive Garden and others. 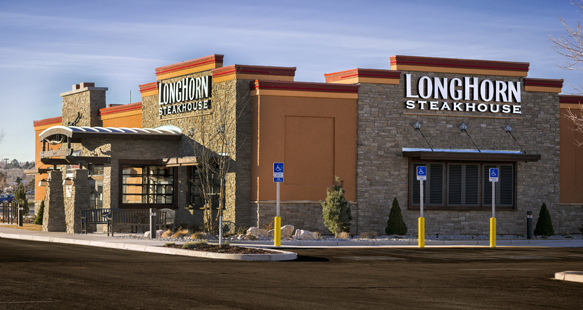 There are 370 LongHorm Steakhouses in 35 states outside of Utah, and they are known for grilling inspired by the American West.